We Do Not Have A Soul, Trust Me, I’m A Blogger. It seems unbelievable that it’s over three months since I last wrote for my own blog!! However, I have been a bit busy, what with keeping Alternative News Network online, which seems to take up more and more of my time. Not that the site itself needs much updating, as it’s all done automatically, but keeping the nasty hackers at bay, well that became almost a full time task. As luck would have it, I’m fairly web savvy, but the “brute force” attacks were becoming a huge problem. Hundreds of IP’s trying to log on using the standard wp-admin method was eating up far too much bandwidth. Anyone doing that now gets directed straight to the BBC’s cBeebies home page. I love ironic humour!. So, what’s been going on out there during the last three months? Well, it seems to me that 2014 is fast becoming the year when the tide starts to turn. We’ve got bankers apparently killing themselves left right and centre, stories about Clintons friendship with convicted paeodiphiles appearing in the MSM, the alternative media is growing stronger by the day, with Youtube taking down whole channels with no warning. When that sort of censorship starts happening so publicly you know they are getting very worried. One of the best good news stories of the year so far for me was CNN kicking Piers Morgan in the gonads. Laugh, I nearly wet myself. Look in the Mirror Piers, the Mirror never lies. Maybe he should take up a hobby, like keeping chickens. It’s really easy, and if they go missing during the day, they always “come home to roost”. Madeleine McCann is still missing, as is flight MH370. No connection there at all, I just can’t get to the bottom of either story apart from knowing that the truth is being kept from us. I think the main thing that has changed for me this year is a re-awakening of my more spiritual side. We get so bogged down in the cut and thrust of daily life that it’s very easy to loose focus on who you really are. The biggest revelation in my re-awakening is that we do not have a soul. Man has for thousands of years pondered the question of whether we have a soul or not, or indeed if we have, exactly where the soul is! What a complete waste of time, we don’t have one. The point I’m really trying to make here is that we focus so heavily on the physical, we forget that the physical is a temporary coat which we will all have to take off at some point. We all chose to come here, lets focus on why we are here, and get on with it. I was talking to my daughter the other day, who at nineteen is much more awake and aware of the real nature of reality then I ever could be, about the “All seeing Eye” symbol. 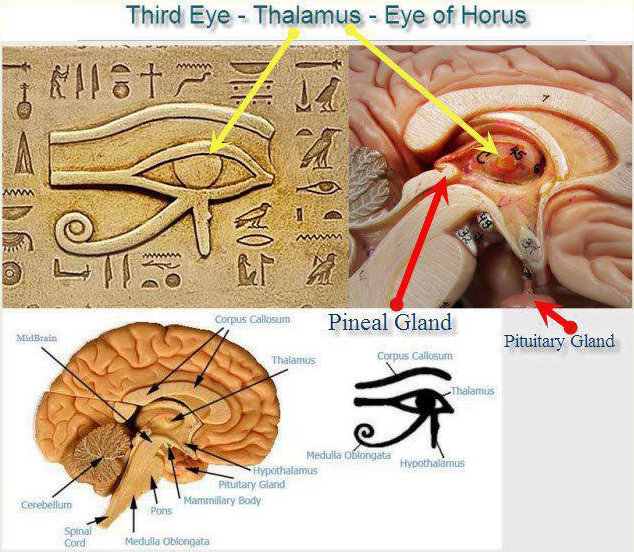 I happened to mention that the symbol happens to look very much like a diagram of the Pineal gland, or third eye. She looked at me like young people do when they can’t believe what they are hearing and said, “yes, that’s the point, why do you think they’ve been spending the last few thousand years doing everything they can to make us blind and stop it working!” She had a good point so I did a bit of research. It seems that this little bit of the brain has been deliberately suppressed to keep us slaves to the system. Dam! It may just be that the key to lifting the veil is as simple as kick starting everyone’s Pineal gland. I’ll let you know when I’ve got mine going. This link my be interesting. Breaking News! 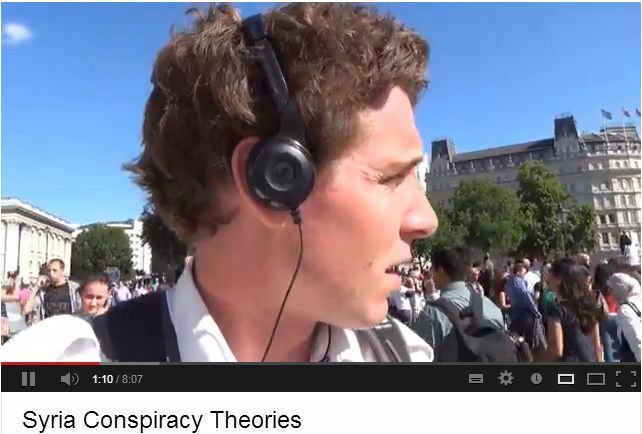 Video Blogger Samuel William has a conspiracy theory. If you haven’t seen swilliamism on YouTube, you really need to start following him. His feeds are carried on our main site, Alternative-News-Network.net. He has his own unique take on world events, and is becoming a major force in the fight for truth. Great work Samuel, we love what you are doing. So the 2013 Bilderberg meeting is taking place in the Grove Hotel in Watford, UK from the 6th-9th June 2013. I wonder if the the main stream media will be giving it the full coverage it deserves, after all, some of the most “so called” influential people in the world will be gathering to plan your future for you. The answer of course is, no they won’t, and never have since 1954. But we will. We will be covering every detail we can find out about this clandestine meeting. Here’s the challenge. I am calling on everyone in the alternative media to cram Google with Bilderberg 2013 articles. They can no longer pretend the meeting don’t exist, so let’s not only all join together to expose them for what they are, but expose exactly who is attending. I will be honest,Twitter leaves me cold, and i don’t really understand how it works, but how about making it trend over there? #Bilderberg 2013 should be enough!! On June 4, 1963, a little known attempt was made to strip the Federal Reserve Bank of its power to loan money to the government at interest. On that day President John F. Kennedy signed Executive Order 11110 that returned to the U.S. government the power to issue currency, without going through the Federal Reserve. “The high office of the President has been used to foment a plot to destroy the American’s freedom and before I leave office, I must inform the citizens of this plight.” — President John Fitzgerald Kennedy – In a speech made to Columbia University on Nov. 12, 1963, ten days before his assassination! President Kennedy’s order gave the Treasury the power “to issue silver certificates against any silver bullion, silver, or standard silver dollars in the Treasury.” This meant that for every ounce of silver in the U.S. Treasury’s vault, the government could introduce new money into circulation. In all, Kennedy brought nearly $4.3 billion in U.S. notes into circulation. The ramifications of this bill are enormous. After Mr. Kennedy was assassinated just five months later, no more silver certificates were issued. The Final Call has learned that the Executive Order was never repealed by any U.S. President through an Executive Order and is still valid. Why then has no president utilized it? Virtually all of the nearly $6 trillion in debt has been created since 1963, and if a U.S. president had utilized Executive Order 11110 the debt would be nowhere near the current level. Perhaps the assassination of JFK was a warning to future presidents who would think to eliminate the U.S. debt by eliminating the Federal Reserve’s control over the creation of money. Mr. Kennedy challenged the government of money by challenging the two most successful vehicles that have ever been used to drive up debt – war and the creation of money by a privately-owned central bank. His efforts to have all troops out of Vietnam by 1965 and Executive Order 11110 would have severely cut into the profits and control of the New York banking establishment. As America’s debt reaches unbearable levels and a conflict emerges in Bosnia that will further increase America’s debt, one is force to ask, will President Clinton have the courage to consider utilizing Executive Order 11110 and, if so, is he willing to pay the ultimate price for doing so? 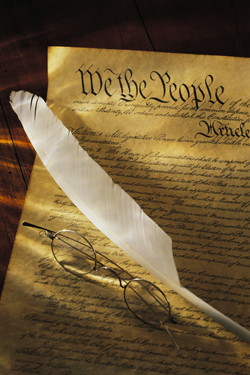 Government possessing the power to create and issue currency and credits money and enjoying the right to withdraw both currency and credit from circulation by Taxation and otherwise need not and should not borrow capital at interest as a means of financing Governmental work and public enterprise. The Government should create, issue, and circulate all the currency and credit needed to satisfy the spending power of the Government and the buying power of the consumers. The privilege of creating and issuing money is not only the supreme prerogative of Government, but it is the Governments greatest creative opportunity. The Federal Reserve is a total money-making machine. It can issue money or checks. And it never has a problem of making its checks good because it can obtain the $5 and $10 bills necessary to cover its check simply by asking the Treasury Department’s Bureau of Engraving to print them. Some people think the Federal reserve banks are United States Government institutions. They are not Government institutions. They are private credit monopolies which prey upon the people of the United States for the benefit of themselves and their foreign customers; foreign and domestic speculators and swindlers; and rich and predatory money lenders. In that dark crew of financial pirates there are those who would cut a man’s throat to get a dollar out of his pocket; there are those who send money into States to buy votes to control our legislation; and there are those who maintain an international propaganda for the purpose of deceiving us and of wheedling us into the granting of new concessions which will permit them to cover up their past misdeeds and set again in motion their gigantic train of crime. Those 12 private credit monopolies were deceitfully and disloyally foisted upon this country by bankers who came here from Europe and who repaid us for our hospitality by undermining our American institutions. I have absolutely no guilt re-blogging someone else’s work if the content is important. This was published in the Tap Blog in February and needs as much exposure as possible. Thanks Tap, keep up the good work. You ask the question, Who Owns The Bank Of England? to one thousand Britons, and I kid you not, all of them will say that it is owned by the Government. 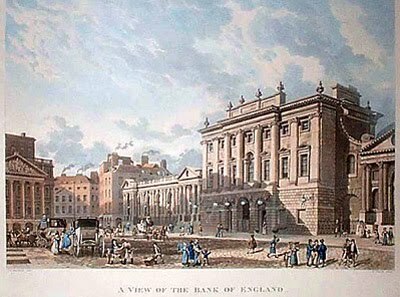 The Bank Of England was originally a private bank, which contracted to lend money to the British Government in a financial crisis. It was privately owned at its foundation and remained so until the post-war Labour government nationalised it in 1946. So it is owned by the government? Here is how Wikipedia explains it. Bank of England Nominees Limited was granted an exemption by Edmund Dell, Secretary of State for Trade, from the disclosure requirements under Section 27(9) of the Companies Act 1976 , because, “it was considered undesirable that the disclosure requirements should apply to certain categories of shareholders.” The Bank of England is also protected by its Royal Charter status, and the Official Secrets Act. In other words, you and I are not allowed to know who the shareholders are who own the company which carries out Central Banking in the UK. Some people say that Mandelson’s buddies, the Rothschilds are major shareholders. Also the Queen. But the information is secret. We are not allowed to know. But what would surprise everybody is that the Bank Of England, which is entitled to issue cash, then lend it and charge interest to the government, is still essentially a private business. What would also surprise people is so is the Federal Reserve of America a privately owned bank, and all central banks of the world, including the Bank for International Settlements (BIS) in Switzerland, which is the Central Banks’ clearing house. If the One World Government actually had an address, this would be part of it – the B.I.S, another privately owned bank, the central bankers’ central bank, beyond the control of democracy or government, able to influence events secretly from behind the scenes. One thing is for sure is that in times of financial crisis, these central banking networks become supremely powerful, as those like Gordon Brown allow their countries to become effectively indebted to the point of loss of control. They are not all Jewish by the way. Anti-Semitism is a smokescreen created to conceal the identity of the true enemy. He explains that the objective of the secretive groups is to bring about the surrender of sovereignty and of national independence. The Bank of England has played a prominent role in American history — without it, the United States would not exist. The American colonists considered themselves loyal Englishmen to a man, but when they began to enjoy unequalled prosperity by printing and circulating their own Colonial scrip, the stockholders of the Bank of England went to George III and informed him that their monopoly of interest-bearing notes in the colonies was at stake. He banned the scrip, with the result that there was an immediate depression in the commercial life of the Americas. 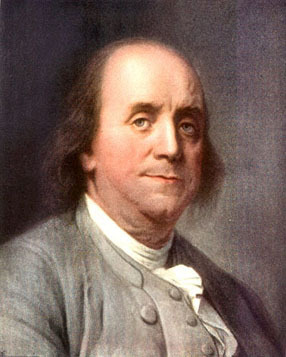 This was the cause of the Rebellion; as Benjamin Franklin pointed out, the little tax on tea, amounting to about a dollar a year per American family, could have been borne, but the colonists could not survive the banning of their own money. As a hundred years have gone by now, with the move to One World Government, which were started in earnest a century ago, reaching the advanced stage, the confusion from hereon can only get much much worse. The best thing the One World Government, which does already exist, could do, is start telling the world who they are, how they got to where they are, and what they intend to do. Only then will the growing chaos of secretive groups running the world out of sight start to unravel. There are of course, many ugly secrets to be told, and some of those secrets might well be to do with this man. Why doesn’t Prince Charles tell us more of what he knows? And what is his brother Andrew up to in Khazakstan? The book I referred you to THE WORLD ORDER by Eustace Mullins, is very informative, but many of your viewers might prefer to look at a video. I found this You Tube Interview regarding this same book. This will round off the subject, as the words come from ‘THE HORSES MOUTH’ so to speak. & so on, but this is a better way of looking at it as per video. I believe the USA Deficit is c.a.